Welcome to our ninth weekly meal plan! (if you missed last week’s you can find it here) I hope this plan makes your week just a little bit easier and inspires you in the kitchen! 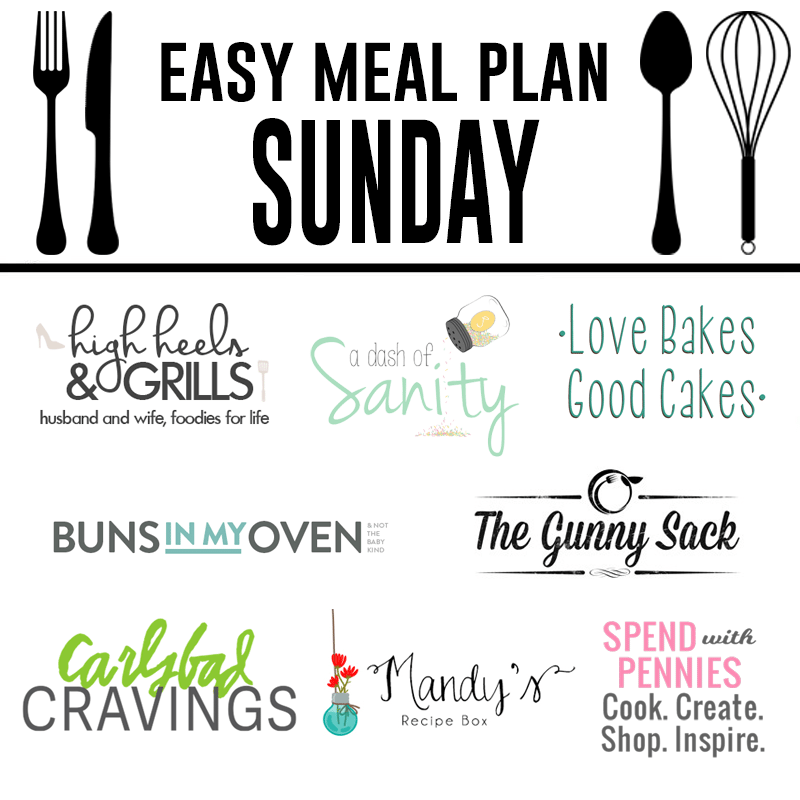 Every Sunday I will be sharing a list of yummy main dish ideas! This week’s plan features a variety of dishes that are perfect for lunch and dinner and you’ll also find a couple of delicious desserts! I definitely love the idea of planning the week ahead of time! Not only does it make the grocery shopping easy but I find I spend so much less time trying to come up with ideas when I do it all at once or my week is planned! (I’ve also got a free Printable Grocery list here). Of course these meals can be made in any order. 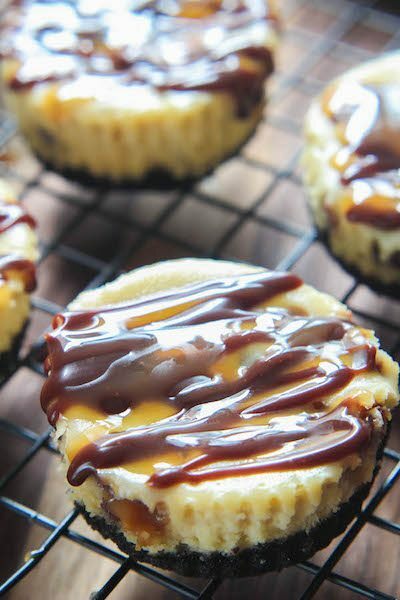 I’ve left one day free for date night, included some suggestions for sides and of course you’ll find some delicious desserts to finish off the week! I hope you enjoy these suggestions as much as I did! Please be sure to stop by and visit each of the blogs below who have shared their yummy dishes with us! 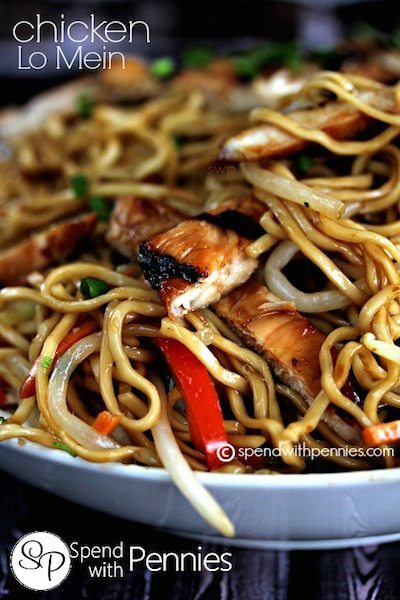 The week gets a delicious start with this Chicken Lo Mein! The best part is that this dish is very versatile! You can add in whatever veggies are in your fridge… pretty much anything can go into this so the entire family is sure to LOVE it! 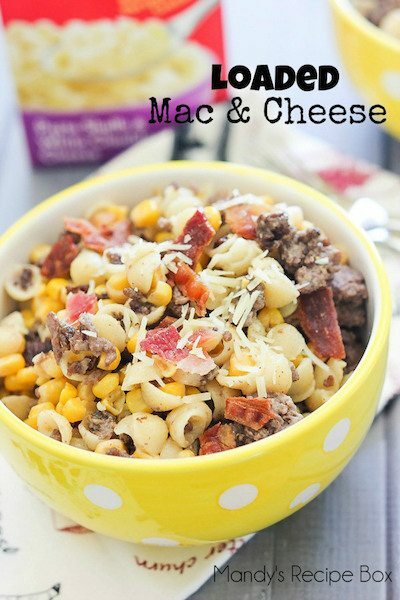 If you were looking forward to a cheesy dish this week, you’re in luck thanks to this Loaded Mac and Cheese! I love that this takes just 30 minutes to get on the table! I plan on serving a green vegetable (like these Bacon Green Beans) on the side to complete the meal. 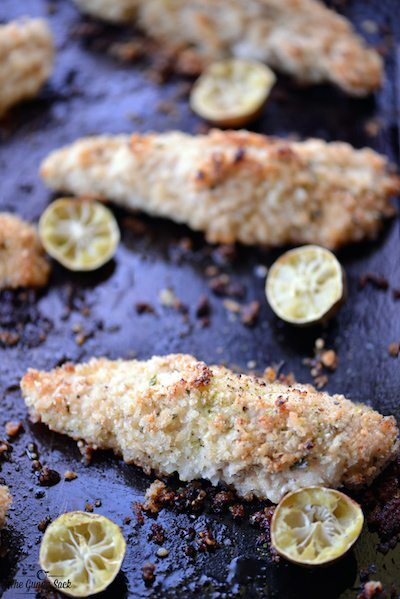 These Key Lime Chicken Tenders are easy to make and pretty healthy! The refreshing hint of lime makes this a perfect summer dinner. These Light & Crispy Baked Onion Rings make a great side or appetizer for this dish! 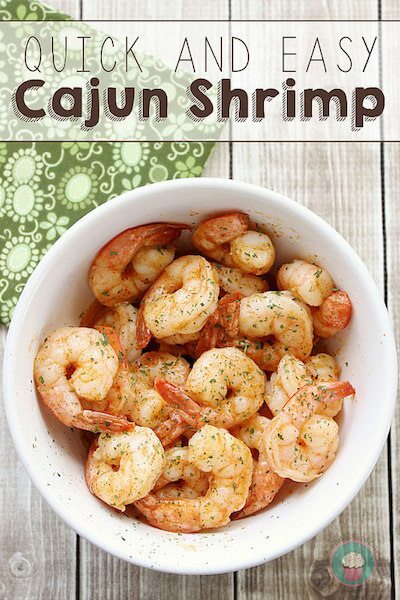 We have a busy day planned for Thursday so this Quick and Easy Cajun Shrimp recipe is perfect because it’s on the table in only about 10 minutes! Practically any veggie would make a great side along with some hot buttered rolls or biscuits. 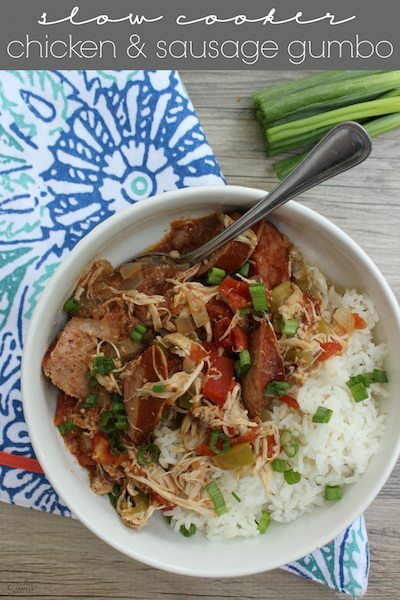 This Slow Cooker Chicken and Sausage Gumbo is a flavorful dish that is also EASY to make! Served over rice and loaded with veggies, this is sure to become a family favorite! 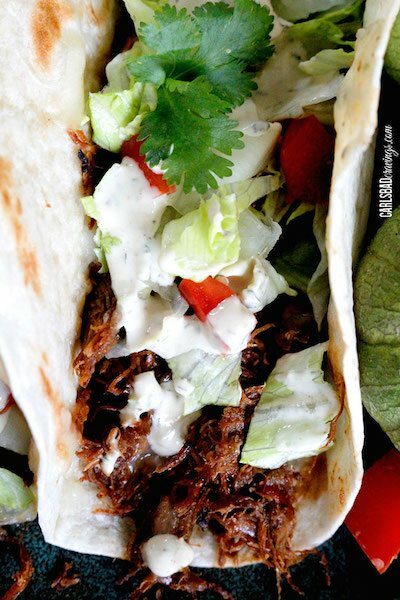 This Chipotle Sweet Pulled Pork is FULL of flavor and super easy to make since it’s made in the slow cooker! The best part is that it is incredibly versatile….you can use it to make enchiladas, tacos, quesadillas, salads, burrito bowls and more I’m sure! What week wouldn’t be complete without something sweet to finish off the day? 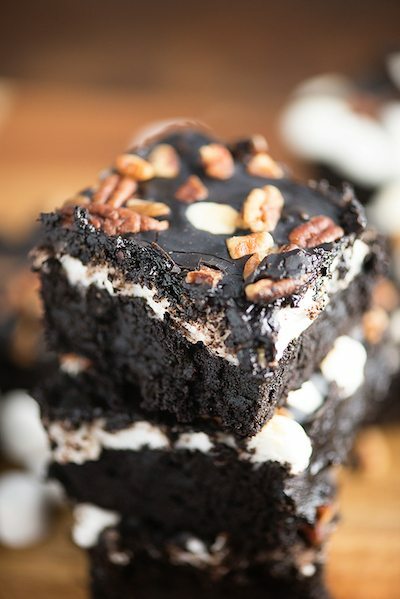 Here are a couple of amazing recipes for a perfect dessert! I hope you’ve enjoyed this meal plan brought to you by my friends below and I hope we’ve inspired you in the kitchen this week! I would love to hear your feedback and which recipes you made and loved!! Have a fabulous week!